Stay away from the tourist crowd. 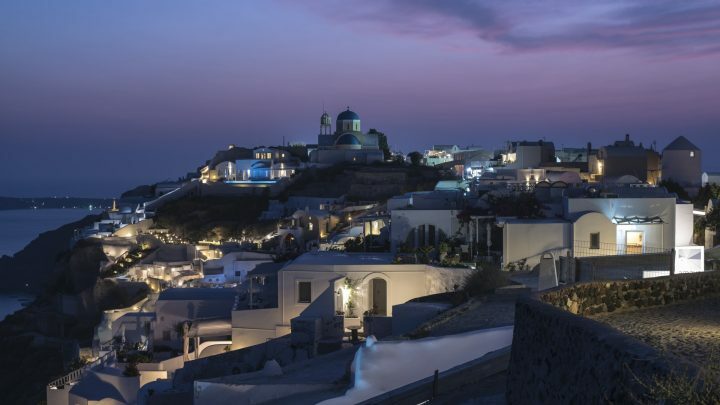 Sense the real beauty and feel the essence of the Greek Islands. Discover breathtaking views in our specially designed unique hikes. Explore the islands’ authentic culture! Enjoy your stay at charming boutique hotels. 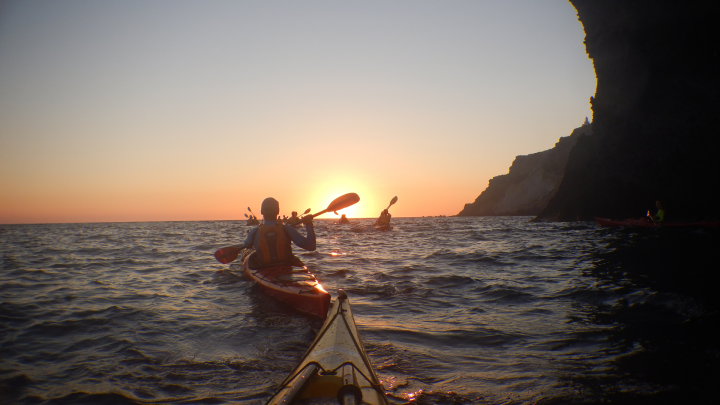 Experience the unique Greek islands, from a different angle. 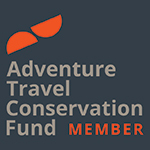 Ideal for: soft adventure cultural encounters seekers, sea and food lovers! 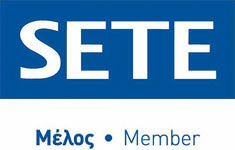 We start from worldwide famous Santorini, which we discover through a nontouristy angle. 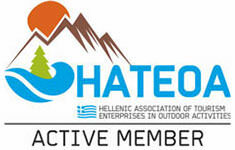 After settling to your hotel we start one of the most spectacular hikes of the Aegean, the Caldera Trail. 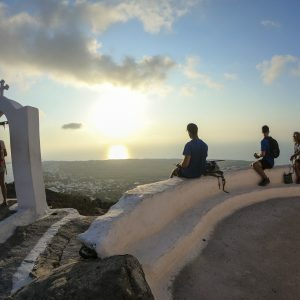 We hike the old path connecting the capital Fira with the famous for its sunset Oia, over-viewing the spectacular caldera. 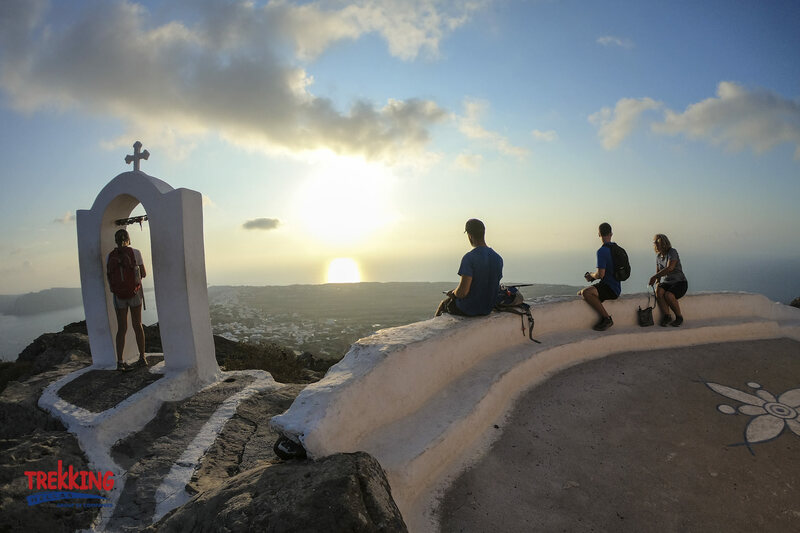 Along the way we pass by typical traditional island churches, we stop at panoramic viewpoints and we enjoy a light picnic with local delicacies. 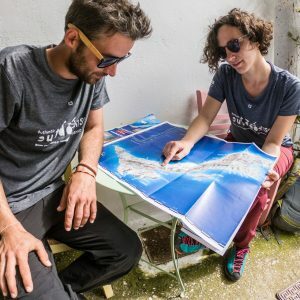 In order to avoid the crowds gathering to Oia for the sunset, we do this hike in reverse: we visit beautiful Oia settlement in the beginning and then hike the opposite way, to experience the famous Santorini sunset at its full, and away from the crowds! We start with a super greek breakfast. Then we visit the archaeological site of Akrotiri. Dorians, Venetians, and Turks occupied Santorini, but its most influential early inhabitants were Minoans. They came from Crete sometime between 2000 BC and 1600 BC and the settlement of Akrotiri, dubbed as the Greek Pompeii, dates from the peak years of their civilization. We walk along the streets and squares of the city, which was buried in volcanic ash after the eruption of the volcano and frozen in time, alongside with a guide. Finishing the walk it is time for a short break and food! 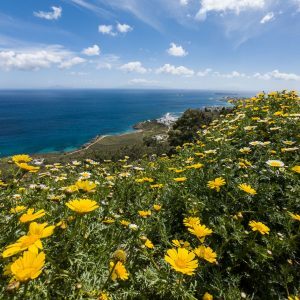 We walk among old vineyards, admire the unique views of the Aegean and taste the unforgettable flavors of the Santorinian cuisine. 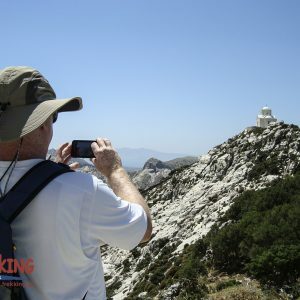 We start our hike from the church of the Dormition of Holy Mary, located outside the traditional village of Akrotiri at the Southwest part of Santorini. 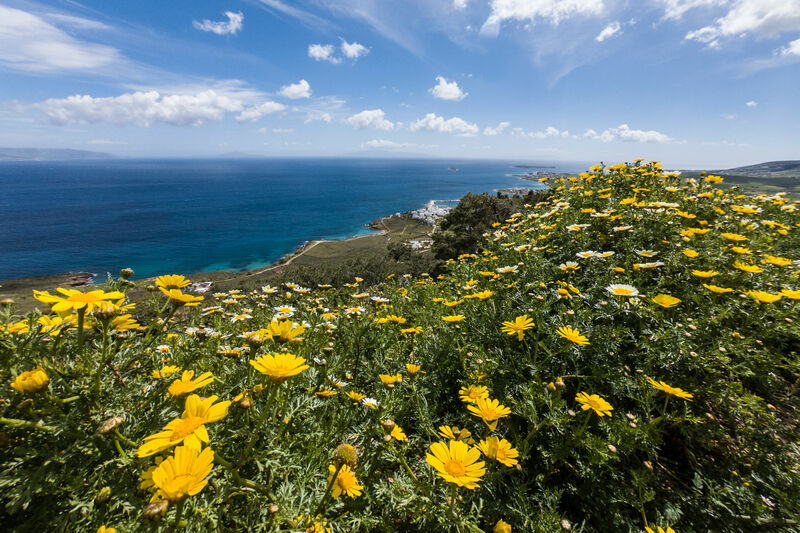 The trail offers incomparable views to both sides of the island – in and out of the formation of the caldera – and passes through old vineyards and deserted chapels. 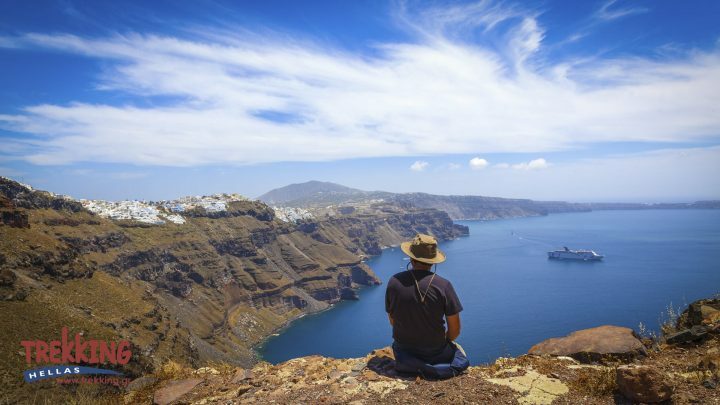 We feel like we walk back in time, on the past of Thira. We arrive on the beach of Mesa Pigadia, where Valanto welcomes us: a mama-chef who reveals to us all the secrets and hidden treasures of the Greek cooking. After the cooking lesson and the preparation of the delicious dishes, we enjoy our homemade meal. In the end, time for swimming and snorkeling while admiring the dramatic beauty of the scenery. 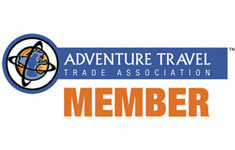 We are transferred to the port of Santorini and embark the ferry on a short ride to Naxos. Arrival in Naxos, transfer and settle to our hotel. The rest of the day we relax, the Naxian way: we swim in the turquoise crystal clear Naxian sea and then walk and explore Chora, the capital town of Naxos. Chora has an interesting mix of Venetian and Cycladic elements, and despite tourism, it has kept its authentic and traditional character. Above the port stands the impressive Venetian castle, and in the northern part of the capital, a long paved road leads to the Temple of Apollo and the famous Portara (Big Door) which is the gate of the temple. Whilst strolling the harbor we encounter fishermen, vendors selling local produce, yachts docking, images of what Greece is all about. Today’ s hike starts from Kouros statues. These larger-than-life statues of young men, predestined to hold on to a temple roof, were abandoned incomplete by the ancient sculptors when they discovered faults in the marble. Then we follow the path to Ano Potamia picturesque village. 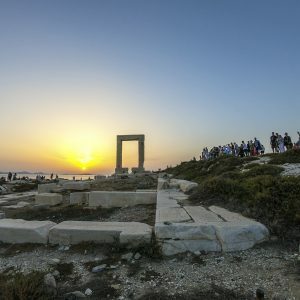 After a short refreshing stop at the village’s spring, we hike to Apano Kastro (Upper Castle), to enjoy the spectacular panoramic view of Naxos town, port, and the surrounding villages. We continue onwards via Tsikalario little village to Halki, where we visit Valindras small distillery that produces Kitron (the local alcohol drink of Naxos). A spectacular and fairly easy walk takes us to an isolated area, with stunning mountain views, leading to the beautiful beach of Liónas with its multi colored pebbles. 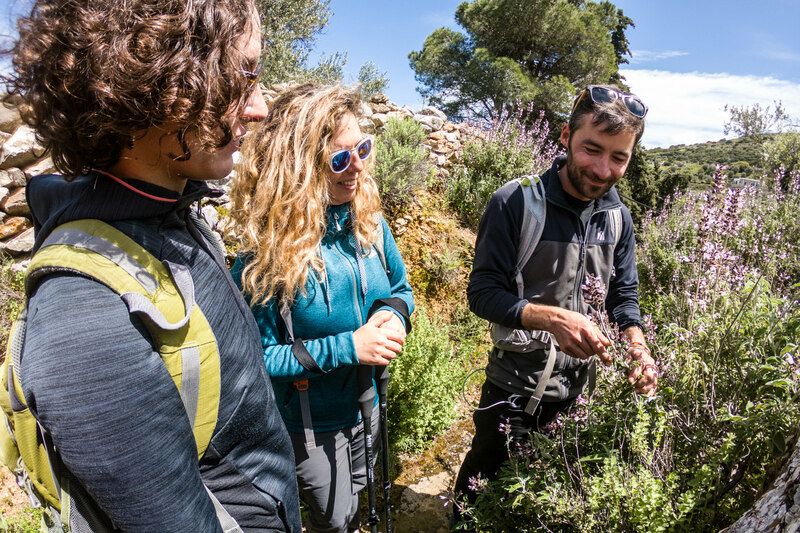 We start the hike, a 2,5 – 3 hours downhill walk, from Koronos, an authentic and worthwhile visiting village with characteristic small and downhill narrow streets. 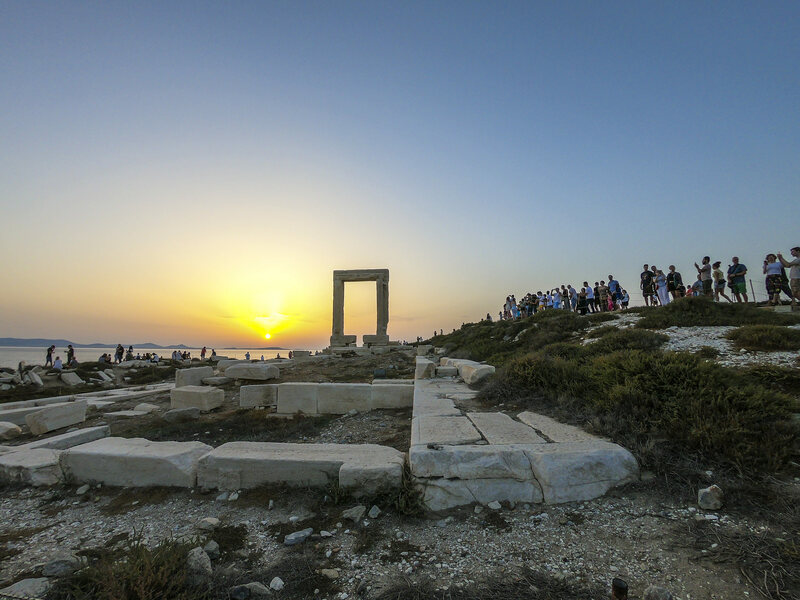 Koronos is one of the six villages of Naxos permitted to mine emery, and its story inspired a recent documentary named “Emery tales”. We walk in a fertile valley, admiring the islands endemic flora and fauna. Several masts from the cable railway of the emery mining region can be seen. We pass through a stable where we could acquaint two men preparing the famous local cheese, the myzíthra. During the downhill route, there is a short climb where after a few minutes on an impressive number of uneven steps we arrive high above a grand gorge, on a protruding rock. The panoramic view from up here is stunning. We then descend down to Lionas bay where in case there is no strong north wind we can swim in its crystal clear waters and afterward enjoy lunch in the one out of two fish tavernas of the settlement. Today we travel to the famous Big Blue Island! Amorgos, one of the most beautiful Greek islands was still unknown until filmmaker Luc Besson shot scenes of the movie The Big Blue in one of the islands famous beaches. 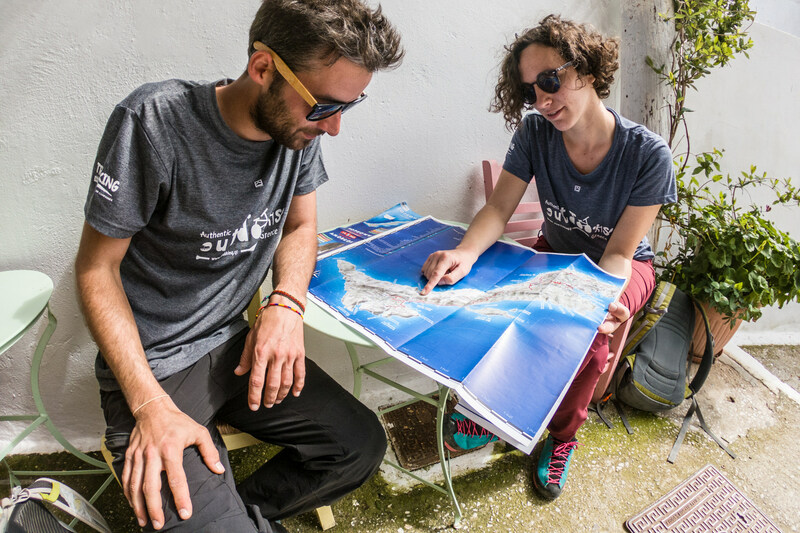 Intrigued visitors from all over the world overtook the journey to discover the crystal clear waters and dramatic landscape seen in the film; Amorgos’ name became synonymous to the Big Blue. 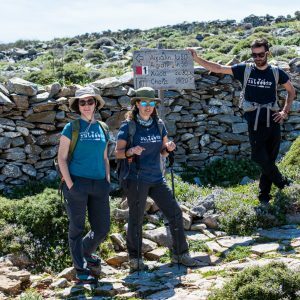 We enjoy one of the most popular hikes on Amorgos island, following the old path (“Palia Strata”) linking the central part of Amorgos to the area of Aegiali at the north. 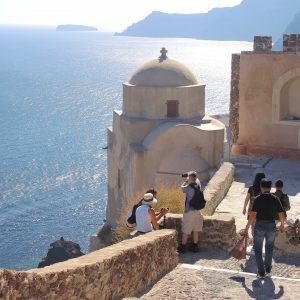 We start our walk descending from Chora, the capital of the island, towards the impressive Monastery of Panagia Chozoviotissa, the patron saint and landmark of Amorgos. 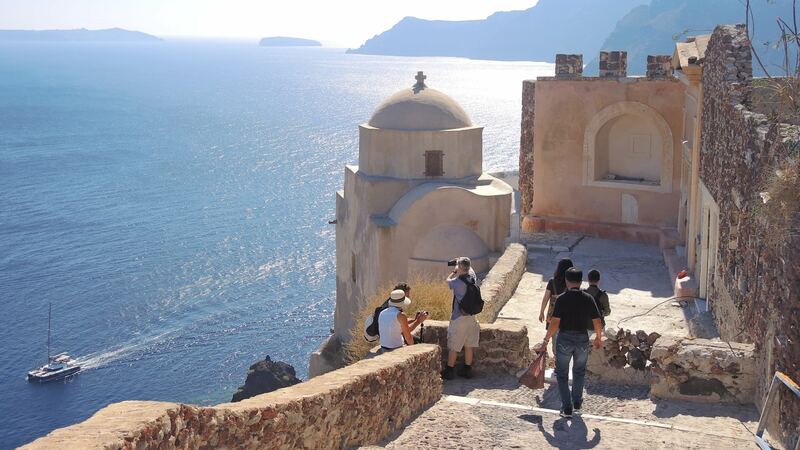 We visit the Monastery, have a close look at this amazing 1000-year-old structure and enjoy the magnificent views to the endless Aegean blue sea. 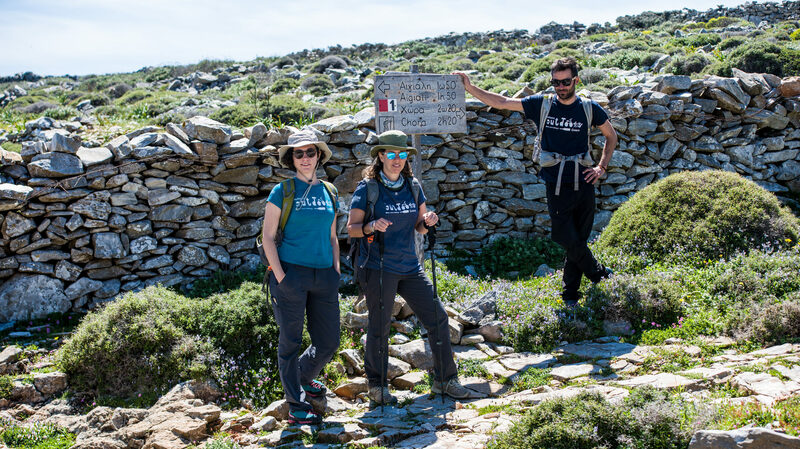 We continue following the southern slopes of Mount Profitis Ilias, a beautiful hike amid one of the most breathtaking sceneries of the Aegean, arriving at the abandoned rural settlement of Asfontylitis. We then walk through the old village, famous for its stone engravings, continuing the path towards the area of Aegiali. After passing the saddle, we walk along the northern slopes and have a clear view of the bay of Aegiali. 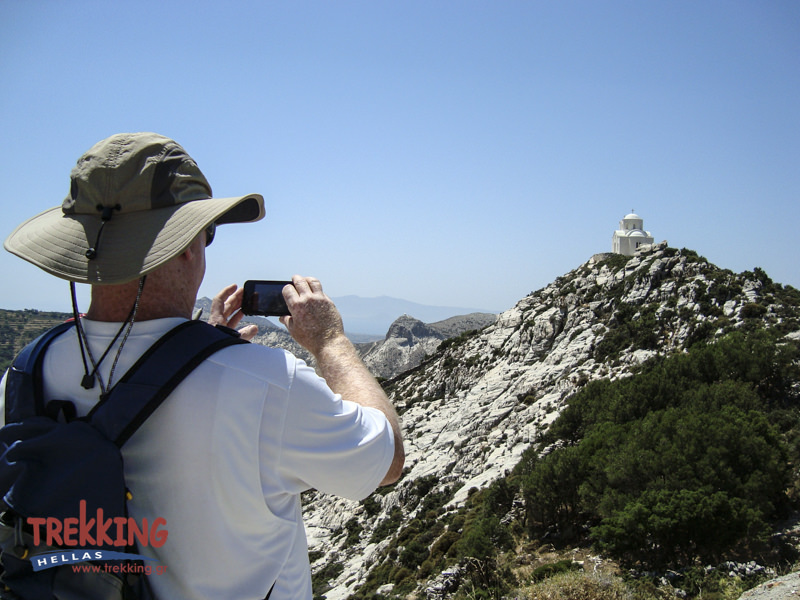 This is one of the favorite hiking routes on Amorgos and for a good reason. The path leads to the Byzantine Convent of Agios Ioannis Theologos, crossing farmland and beautiful pastures, and continues to the chapel of Stavros through a designated Natura 2000 area. Only the sound of birds and the wind interrupt the pristine silence.